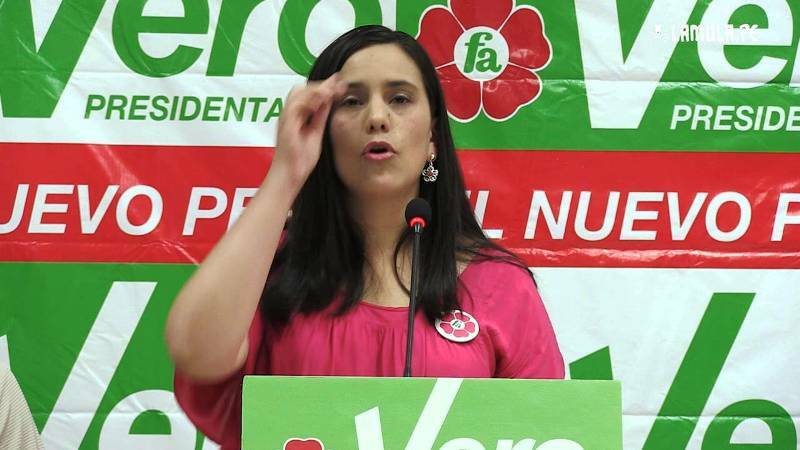 Veronika Mendoza (pictured) ran as the presidential candidate of the left-wing Broad Front in the April 10 general elections. 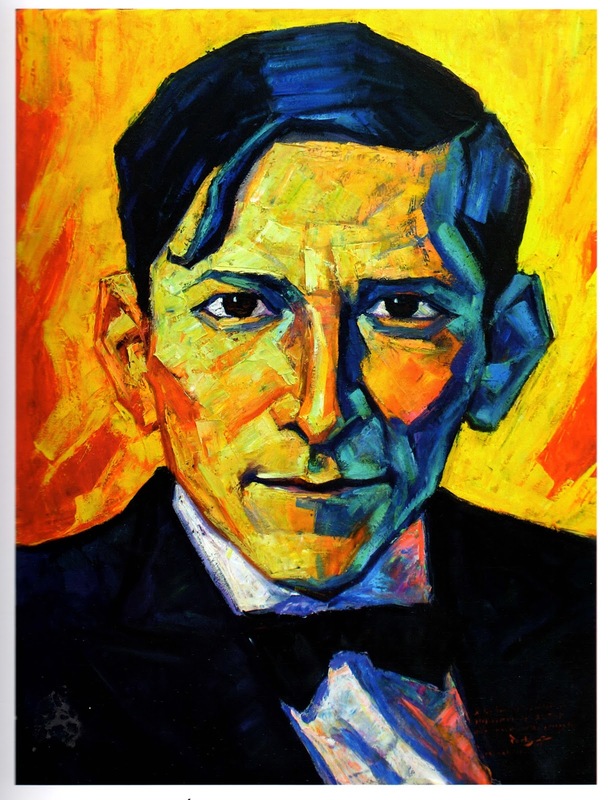 April 23 -- Links International Journal of Socialist Renewal translated from Strategic Latin American Centre of Geopolitics, CELAG -- General elections were held in Peru [on April 10]. Along with the position of president and vice-president, 30 congresspeople were elected for the 2016 – 2021 period, and another five representatives to the Andean Parliament. Protesters at the People's Climate March in Lima. December 14, 2014 -- Climate & Capitalism, posted at Links International Journal of Socialist Renewal with permission -- Late in the night, 194 countries of the UN framework convention on climate change finally reached agreement. Far from satisfactory, this deal jeopardises any “historic agreement” in Paris. The climate justice NGOs and movements, including Attac France and the Friends of the Earth France, have released this first analysis. The world faces a planetary emergency: climate change, caused by a system that puts the pursuit of profit above the needs of people and the limits of nature. It is already devastating millions of people across the planet. Climate science predicts we will soon breach critical tipping points and could be locked in to 4-5°c of warming with catastrophic impacts for us all. The Lima Conference should have been a milestone that marked out how governments will take urgent action to tackle climate change and to support vulnerable people across the world to adapt to its locked in impacts. 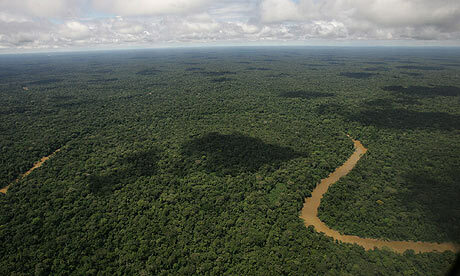 An aerial view of part of the Yasuni National Park, in Ecuador's northeastern jungle. Photograph by Dolores Ochoa/AP. September 16, 2013 -- Links International Journal of Socialist Renewal -- The remarkable proposal by Ecuador to leave about 900 million barrels of heavy crude in the ground in exchange for international contributions amounting to about half its value, was recently abandoned by President Rafael Correa. December 8, 2012 – Links International Journal of Socialist Renewal -- Furious though it may be, the current debate over health care in the US is largely irrelevant to charting a path for the poor countries of Africa, Latin America, Asia and the Pacific Islands. That is because the US squanders perhaps 10 to 20 times what is needed for a good, affordable medical system. The waste is far more than the 30% overhead by private insurance companies. It includes an enormous amount of over-treatment, making the poor sicker by refusing them treatment, exorbitant over-pricing of medications and medical procedures, creation of illnesses, exposure to contagion through over-hospitalisation, and disease-focused instead of prevention-focused research. October 30, 2011 -- Ecosocialists Unite -- Hugo Blanco led a successful peasant revolution in Peru for land rights in 1961 when peasants were being killed by landowners. Praised by Che, Blanco -- then a leader of the Fourth International -- was captured and placed on death row. He lived due to an international campaign of solidarity launched by figures like Jean-Paul Sartre. Now in the his late 70s, he publishes Lucha Indigena ("Indigenous Struggle"). The uprising in Peru of the Awajan and Wampis and other Amazon people, of the Aymara and Quechua, have shown that Indigenous and workers can organise to challenge the destruction of the Earth and to build a democratic alternative to capitalism. Hugo Blanco argues that the revolution must be global and that the Occupy movement shows that people in the global North are joining the revolt against the 1% and for a democratic, ecological society for the 99%. This Lucha Indigena editorial on the occupy movement and the global fightback against neoliberalism has been roughly translated by Derek Wall and Martin O'Beirne. September 10, 2011 -- Green Left Weekly -- Economist, activist and writer Derek Wall (pictured above) is a member of the Green Party of England and Wales (and the Green Left grouping within it) and is the author of several books on ecology and politics. Wall will speak via video link at the Climate Change Social Change activist conference in Melbourne,r September 30 to October 3. He maintains the ecosocialist blog Another Green World. He spoke to Green Left Weekly’s Simon Butler about the politics of ecosocialism. What are the most valuable insights ecosocialists can bring to discussions about the source of our ecological problems? Ecosocialism, without being reductionist, cuts to the roots of the ecological crisis. The destruction of the environment is not an accident. It is not simply a problem of false ideas and it is not a product of inappropriate policies that can easily be dealt with by electing a new set of politicians. June 6, 2011 -- Center for Economic and Policy Research, via MRZine -- Ollanta Humala's apparent presidential electoral victory in Peru represents a consolidation of the gains made by left-leaning leaders in South America over the past decade, Center for Economic and Policy Research (CEPR) co-director Mark Weisbrot said. "Democracy, national and regional independence, and economic and social progress have gone hand-in-hand with South America's leftward political shift over the past decade", said Weisbrot. "This election continues these trends, for sure." 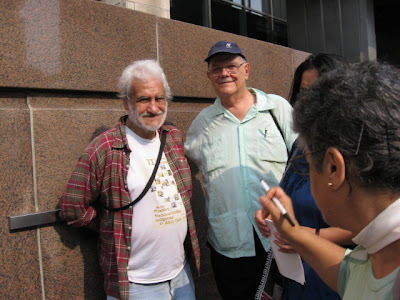 September 16, 2010 -- via Socialist Resistance -- Hugo Blanco, a longstanding leader of Peruvian peasant struggles and fighter for Indigenous people's rights is touring Britain as a guest of Socialist Resistance and Green Left [an ecosocialist group within the Green Party of England and Wales]. On September 11, 2010, Blanco spoke at the successful Green Left/Socialist Resistance fringe meeting at the Green Party conference. Blanco started by criticising "biblical Marxism" -- adhering to Marxist works as if they were holy scripture. He talks about his long personal struggle for social justice and against oppression. In a comment at a meeting at the Venezuelan consulate in London, he explained that we need to put an end to capitalism before it puts an end to us. The concentration of greenhouse gases (GHGs) in the atmosphere is already so high that the climate system has been brought out of balance. The CO2 concentration and global temperatures have increased more rapidly in the last 50 years than ever before on Earth, and will rise even faster in the coming decades. This adds to a multitude of other serious ecological imbalances, the impacts of which threaten the lives and livelihoods of the people of the world, most acutely, impoverished people and other vulnerable groups. November 4, 2009 --The government of Peru has launched a massive attack on Indigenous peoples through a request to dissolve the Amazon Interethnic Development Association of the Peruvian Rainforest (AIDESEP), Peru's largest and most representative Indigenous organisation. AIDESEP groups numerous regional organisations, representing 65 ethnic groups and has led the struggle against the Garcia governments neoliberal decrees (which are part of the US Free Trade Agreement) aimed at opening up huge swathes of the Amazon to exploitation by transnational logging, mining and oil companies. 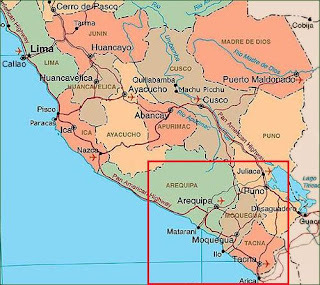 Since the Indigneous uprising in Bagua in which an unknown number of Indigneous people were massacred by Peruvian police on June 5, 2009, the leaders of AIDESEP have been facing political persecution, some have been arrested and its president, Alberto Pizango, has been forced to flee and seek asylum in Nicaragua. Below is a statement below by Andean and Amazonian peoples protesting against the government's attempt to dissolve their organisation. Chavez returns toVenezuela following the defeat of the April 2002 coup. Venezuela's private media actively supported the coup with lies and distortions. October 21, 2009 -- It may be useful to assess the dangers of the systematically hostile attitude of the overwhelming majority of major European and North American media companies to the current events taking place in Ecuador, Bolivia and Venezuela. This hostility is only matched by an embarrassed, complicit silence towards those involved in the putsch in Honduras and the repression of the Peruvian army against the Indigenous populations of the Amazon. October 13, 2009 -- Socialist Voice -- Peruvian peasant leader Hugo Blanco, who edits the newspaper La Lucha Indigena, was interviewed on August 28, 2009, in Arequipa, in southern Peru. The previous day he gave a presentation at a conference entitled “40 Años de la Reforma Agraria” at the city’s Universidad Nacional de San Agustín. You said last night that today the Indigenous peoples of the Amazon are in the vanguard of the struggle in Peru. Can you say more about this? Puno, Peru -- May 27-28, 2009 -- We, indigenous women gathered in the sacred lands of Lake Titicaca, after two days of discussions and deliberation raise our voices in these times when Abya Yala’s womb is once more with childbirth pains, to give birth to the new Pachakutik  for a better life on our planet. We, indigenous women, have had a direct input into the historical process of transformation of our peoples through our proposals and actions in the various struggles taking place and engendered from the indigenous movements. We are the carriers, conduits of our cultural and genetic make-up; we gestate and brood life; together with men, we are the axis of the family unit and society. We join our wombs to our mother earth’s womb to give birth to new times in this Latin American continent where in many countries millions of people, impoverished by the neoliberal system, raise their voices to say ENOUGH to oppression, exploitation and the looting of our wealth. We therefore join in the liberation struggles taking place throughout our continent. Humans depend on functioning ecosystems to sustain themselves and their actions affect those same ecosystems. As a result, there is a necessary “metabolic interaction” between humans and the earth, which influences both natural and social history. Increasingly, the state of nature is being defined by the operations of the capitalist system, as anthropogenic forces are altering the global environment on a scale that is unprecedented. Interview with veteran Peruvian Marxist Hugo Blanco, conducted by Yásser Gómez for Mariátegui magazine, September 9, 2008. Translated by Sean Seymour Jones for Links International Journal of Socialist Renewal. “The Self-organised Legislative Coup of the FTA [Free Trade Agreement], Indigenous Peoples and Social Movements” was the name of the national gathering of originario [indigenous] peoples, peasant communities and social movements that took place in Lima. There Mariátegui magazine interviewed Hugo Blanco, who in the 1970s led land takeovers in La Convención, Cusco, before the agrarian reform of Juan Velasco Alvarado was implemented. Today he continues in political combat from the trenches together with the peasantry, and as director of the newspaper Lucha Indigena (Indigenous Struggle). What is your analysis of the Peruvian indigenous movement? Cuzco, Peru, October, 3 2008 -- First, I would like to express my profound gratitude to all of the people and institutions who, upon hearing of my arrest, demanded my liberation. * Every one of those was important. But among those that touched me most, I should mention the pronouncement made by my Canadian brothers and sisters with whose support I am able to continue publishing Lucha Indígena the call from the Conacami (The Peruvian National Confederation of Communities Affected by Mines) with whom I share the anxious desire for a political project that emanates from the indigenous, campesino and grassroots organisations; and the support of Wilbert Rozas, the mayor who instituted the indigenous communities’ municipal government and went immediately to Paruro after learning of my arrest. Thanks to this solidarity, I was quickly—though temporarily—released. June 19, 2008 (updated June 26) -- The videos you are about to see are a bit shocking. For 18 months the people of the Moquegua region (southeastern Peru) and the mining workers from that region have been seeking for peaceful negotiations with the Peruvian government in Lima. March 4, 2008 -- Not long ago repression in Peru was more a matter of laws than actions. Now, however, APRA's legislation (APRA is President Alan García's party), with basic support from the ultra-rightist Unidad Nacional party, and from the party of Fujimori, who is now being tried for massive crimes, and with no consequent parliamentary opposition, is being used to launch a full assault against the people.